Strictly speaking, mysticism isn’t magic any more than the self-improvement techniques taught by The Silva Method are considered magic. However, I am considering them in this series of blogs about magic because some of the skills/techniques/results of some mystics and some personal growth practitioners appear to be magic to those outside the teachings of either group. The Rosicrucians are secular mystics with a strong emphasis on ritual who focus on hermetic teachings, alchemy, the Kabbalistic Tree of Life, the so-called greater and lesser mysteries, and the development of knowledge that is often referred to as western mysticism. The Silva Method was created by Rosicrucian Jose Silva and focuses more on the development of an individual’s latent mental abilities including intuition than on a direct connection with nature and/or the Creator (referred to generically by Rosicrucians as “the Cosmic”). The Rosicrucians’ Rosy Cross, which predates the Christian use of the cross, refers to the unfolding consciousness (the rose) in physical matter, that is, the body, which is represented by the cross. Rosicrucian studies are a lifelong process of transformation. The information is presented in monthly monographs in a logical fashion and includes experiments students can use to develop the techniques in the lessons. Students/members who live near the group’s lodges in major cities will benefit from the fellowship as well as the rituals available there. You can see from this that Rosicrucian teachings have a basis in long-time concepts. Wikipedia illustration. As always, I look for consensus and wish the newer approaches to magic, self-development, and mysticism would state how their beliefs and techniques compare and contrast to methods that have been around for years. My personal belief system–which is probably neither “bad” nor “good”–is that mysticism and magic are primarily for serving others and transforming oneself rather than for attracting power and wealth. I’m including these ideas as an example of a “world view” that serves as the basis for what one accepts or does not accept when it comes to magic. One starts with a world view, I think, and then adds or subtracts other ideas and philosophies from it. When I read about something new, I tend to see how it meshes with what I have already found to be true for myself. Personally, I like the idea of foundation beliefs. Mine are Silva and Rosicrucian, with strong influences from the Seth materials (written by Jane Roberts) and from Hawai’ian mysticism (Huna). I am comfortable with this. You may need or want something completely different. That’s fine. There are numerous approaches to magic, mysticism, personal transformation, and self improvement. I like the idea that there are many paths and that each of us walks along those we like best. As an author, I base the magic in my contemporary fantasies and magic realism novels on my understanding of actual systems of magic to make the stories as accurate and realistic as possible. Today’s guest post is by Laura K. Cowan (“The Little Seer“) whose new novel Music of Sacred Lakes was released this month. (See my review of Music of Sacred Lakes on Literary Aficionado.) Last year, Laura appeared here with her article “Speculative Supernatural Novels and the Growing Fantasy Genre”. For some people, especially in the western world today, this is a common and nagging feeling, sometimes even with catastrophic results for a life. And this is the problem that, even while striking him as trivial and self-centered, is wrecking the life of Peter Sanskevicz, the young protagonist of. He can’t accept the sixth-generation family farm from his parents, can’t continue serving “fudgies,” tourists in Northern Michigan who feel more at home than he does–and then, Peter accidentally kills a girl. Seeing his life is at risk, Peter’s friend takes him to his uncle, a pipe carrier of the Odawa tribe, who tells him he has lost his connection with the land and must live by the shores of Lake Michigan until the lake speaks to him. But what does that mean? How does a lake speak? What is this connection Peter, and many people in the modern world today, have lost? Why does it matter? When I started researching Music of Sacred Lakes, I had just come through a very difficult time in my life, in which religion still seemed very important but I was realizing the shortcomings of the faith of my upbringing. There was a big disconnect between what the people who raised me in church had said and what they did to help the world. There was an even bigger disconnect between what they said God thought of them and how they seemed to really feel about their place in the world. I set out to find out if I could live a life that honored God’s good creation and that left a place for me in that world. Surely people couldn’t really believe that the world was a beautiful creation of God and then fill it with trash and let it be destroyed by greedy corporations. Surely I could find a way to live my faith that didn’t leave me miserable and condemned, being told simultaneously that I was saved by grace and that I had to have the exact right ideas about God in order to get to heaven (Pope Francis has a few things to say about that, I’ve discovered since). And even more importantly, I was discovering that this 20th-century idea of man being separate from the world–standing outside it and looking in—didn’t make any sense. I was seeing statements everywhere as I researched this novel of belonging that really hooked me. 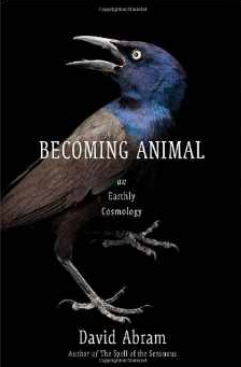 To paraphrase from the book Becoming Animal, I stand in the earth, not on top of it. I am within the biosphere, the atmosphere, and am breathing this air in and out. How then can I say I am set apart from this creation? If this atmosphere disappears, I die instantly. As I breathe in and out, exchanging matter with this world around me, I am a part of it, and it is a part of me. That, and all the wisdom texts and physics books I was reading on the nature of matter and energy and the universe, which stated that matter is best understood as notes on a scale that vibrate at different frequencies to manifest as different kinds of substance (superstring theory) and that all these strings are connected across a vast network through the universe so that everything is connected to everything else (M Field Theory)—really clinched it for me. This modernist idea of man being separate, objective, different from the rest of the universe–it wasn’t true at all. And that had big implications–HUGE–for my faith, for the way I viewed the world, for the way I approached my faith. To top it off, the mystics all agreed. The Oglala Lakota Sioux chief Black Elk once said that he had a vision of the mountain (The Black Hills) and the mountain was the center of the world, and the mountain was everywhere. This kind of statement has a way of cropping up in multiple religions, throughout the history of spiritual thought. It’s in Buddhism. It’s in Christianity, too, believe it or not. It even pops up in the Sufi streams of Islam. I followed the rabbit hole down to postmodernism, to the wisdom traditions of the past that never lost connection with the world, to spiritual paths that honored the earth, and discovered that my own western modern iteration of faith had simply lost this important piece of wisdom, but that there were other cultures, Odawa and Ojibwe Native American being one in my own back yard, that had held on to this wisdom to bring it back to my generation. To say I was humbled, and in awe, and blessed by this, would be an understatement. And all this without ever leaving my own religion, Christianity. Mind boggling. So what is it to discover that you can be a Christian and honor the wisdom of other people, without blending anyone’s faiths? What is it to discover that you belong in the world, and that, to finally quote a Christian mystic for once, “All will be well and all will be well and all manner of things will be well”? If you want to know what it is to discover that this question of belonging and the way we treat the earth are connected, read this story. I think if any of this post resonates with you, that ache that says there must me something more to life that you’re missing, something to your life that makes more sense than the daily grind, you will like Music of Sacred Lakes a great deal. You will discover connectedness, and as usual in life, this can come through the most unexpected of places: a story, a ghost, and a boy reconnecting with his faith through Lake Michigan. 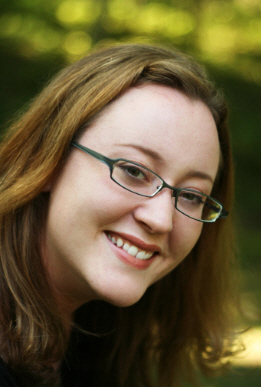 In addition to her website, you can connect with Laura K. Cowan, The Dreaming Novelist, on Twitter or on Facebook.